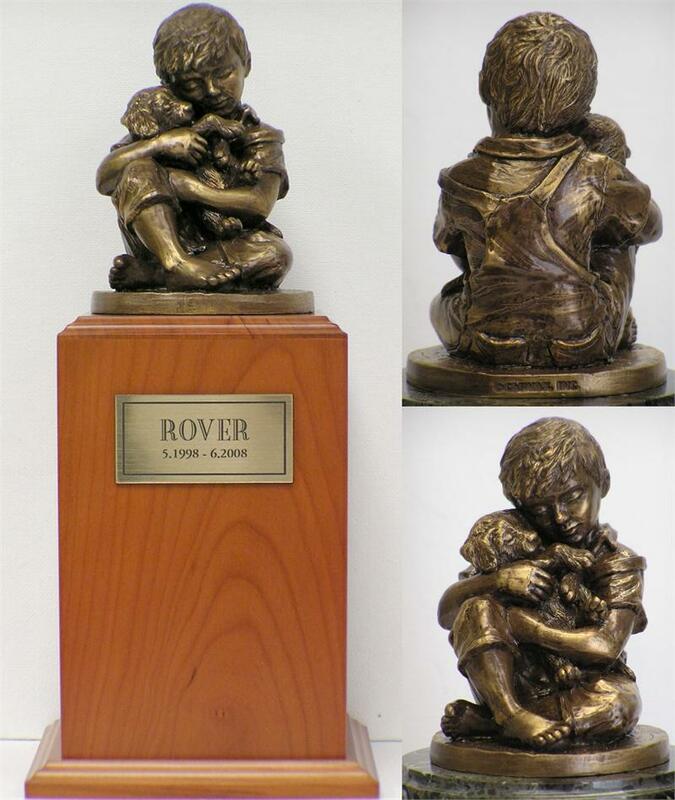 Evoking memories of days gone by, this tower urn features a boy sharing a touching moment with his puppy. The highly detailed sculpture is made from cold cast bronze (resin with bronze filler)and sits atop of the urn. Available in Cherry (as shown), Walnut or Oak. 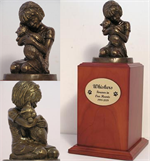 You may also choose to personalize the urn by adding the engraved name tag for an additional charge. Urn Dimentions: 11 1/2" x 4" 35 cu. in.